It’s been an eventful two weeks for the smartphone modem business. Apple and Qualcomm reached a surprise settlement and Intel subsequently left the 5G smartphone modem business. Now, Intel says that it still plans to supply 4G modems through this year – likely including the 2019 iPhones. As noted by Reuters’ Stephen Nellis, Intel CEO Bob Swan commented on the company’s smartphone modem plans during Intel’s Q1 2019 earnings call. Swan explained that the second iteration of Intel’s XMM 7660 modem is on track for the this fall, noting that the company currently expects to supply 4G modems through this year: “Our expectation is we will continue to deliver on the 4G modem throughout the course of this year, including the second iteration of that product coming in the fall back to school season.” Given that Swan’s comments relate to the second iteration of the XMM 7660, it seems highly likely that Intel will supply modems for the 2019 iPhones. It’s far too late in the 2019 iPhone cycle for Apple to make the switch to Qualcomm this year given required engineering lead times. At best, it is possible that Qualcomm will provide a portion of iPhone modems this year, but that too seems unlikely. Going forward, however, it seems all-but-certain that Apple will switch to Qualcomm when it comes to 5G modems in 2020. Apple is also developing its own in-house modems, but those efforts are likely several years down the road at this point. Intel announced earlier this month that it will exit the 5G smartphone modem business because there was “no clear path to profitability” for its efforts. When Intel announced its exit from the 5G modem business, it promised to “meet current customer commitments for its existing 4G smartphone modem product line.” The question was whether that extended to new products as well. Apple and Qualcomm’s settlement, announced last week, included a one-time payment from Apple to Qualcomm. The two parties also reached a six-year license agreement effective April 1, 2019, as well as a two-year chipset supply agreement. 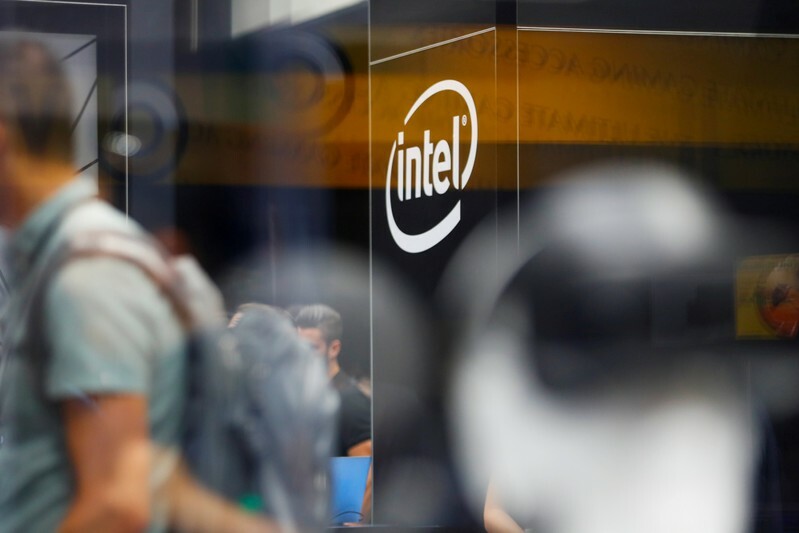 (Reuters) – Chipmaker Intel Corp cut its full-year revenue forecast on Thursday and missed analysts’ estimates for first-quarter sales for its higher-margin data center business, sending its shares down 7 percent after hours. The lowered full-year revenue forecast adds to concerns that an industry-wide slowdown could persist until the end of 2019 and follows a similar warning earlier this week from chipmaker Texas Instruments. Intel marginally beat Wall Street targets for revenue and profit in the first quarter, but sales in the data center group unit fell 6.3 percent to $4.90 billion, hit by weakness in China and inventory correction. Analysts had expected revenue of $5.10 billion, according to financial and data analytics firm FactSet. The company has turned to the server chips it supplies data center operators for growth in recent years. The chipmaker cut its 2019 revenue forecast to $69 billion, from the $71.5 billion it told investors to expect when it last reported earnings in January. “Looking ahead, we’re taking a more cautious view of the year, although we expect market conditions to improve in the second half,” said Chief Executive Officer Bob Swan. A year-long trade war between China and the United States and weakening smartphone sales have taken a toll on the global semiconductor industry. Investors are banking on the launch of 5G telecom network and demand for chips used in self-driving vehicles to reignite growth. The Santa Clara, California-based chipmaker also said it expects revenue and profit of $15.6 billion and 89 cents per share for its second quarter that ends in June, compared with analysts’ expectation of $16.85 billion and $1.01 per share. “A bad as the outlook is for 2Q19 and FY19 due to weaker macro softness, we think there remain further headwinds due to the increased competitive threat from AMD into 2H19 and 2020,” said Kinngai Chan, an analyst with Summit Insights Group. Net income fell to $3.97 billion, or 87 cents per share, in the first quarter, from $4.45 billion, or 93 cents, from a year earlier. Excluding items, the company earned 89 cents per share, beating analysts’ estimate of 87 cents. Revenue in Intel’s client computing business, which caters to PC makers and still the biggest contributor to sales, rose 4.45 percent to $8.59 billion, beating FactSet estimates of $8.38 billion. Shares were trading at $53.33 in trading after the bell. Don’t act so surprised, Your Highness. Vegetables contain important nutrients necessary for healthy hair and skin as well.